Sexual harassment is illegal wherever it occurs. We represent both women and men who have been subjected to sexual harassment on or off the job, or have been fired, demoted, or transferred for resisting it. 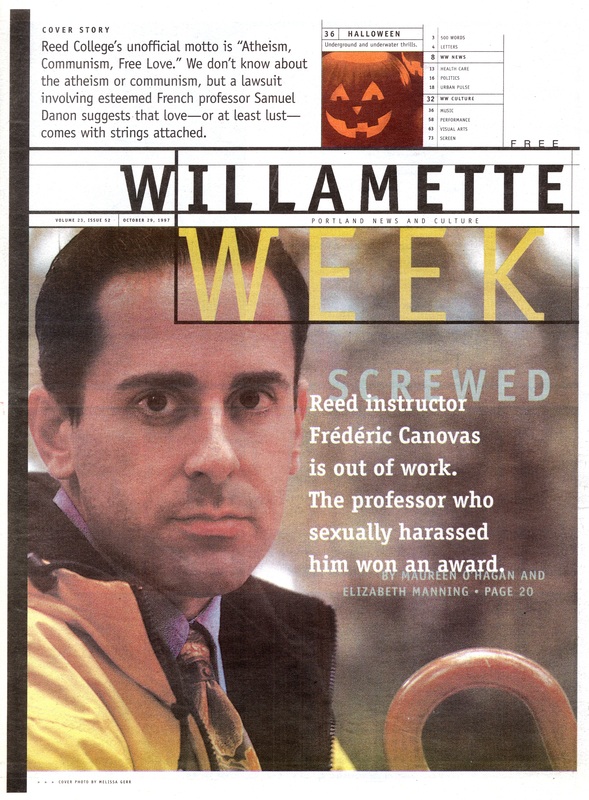 In a drama that provided a cover story for the October 29, 1997 Willamette Week, Frederic Canovas, Ph.D., a visiting professor at Reed College, filed an internal complaint against his superior, the head of the French Department, alleging that the man had sexually harassed him. While a faculty committee was gathering evidence in order to reach a decision on Canovas’ complaint, the college administration announced that the college had granted a highly prestigious award to Canovas’ opponent. We sued Reed College, alleging, among other things, breach of contract for interfering in the grievance process. The case settled days before trial, and this successful outcome helped enable Canovas to continue his academic career. Today, he is a highly successful professor at Arizona State University.